The is a recent image off my Canon 60Da taken fron the St. Croix Observatory. Move your mouse over the image to see a higher res image of the central pillars. Processing This image was processed mostly in Images Plus 5. Calibration, stacking, DDP and initial microcurves in Images Plus . Masked noise reduction, sharpening and contrast enhancement applied in Images plus 5. 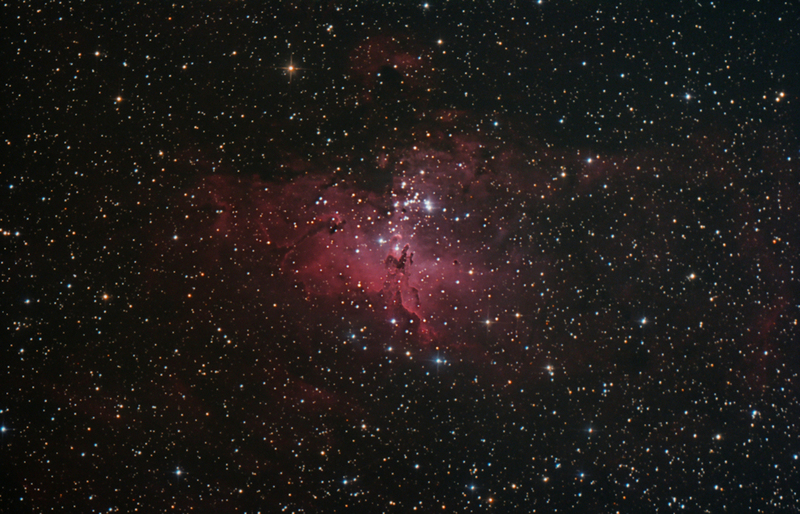 Image binned and cropped then a star reduction applied, some local sharpening applied around the pillars. Final noise reduction done in Noise Ninga.